Well what a lovely (if not slightly windy) day we had for the whole school beach day. It started of looking like a sunny spring day but when we turned the corner onto the prom, the cool winds hit us and nealy blew us away! But that wouldn't stop us in year 4....never! 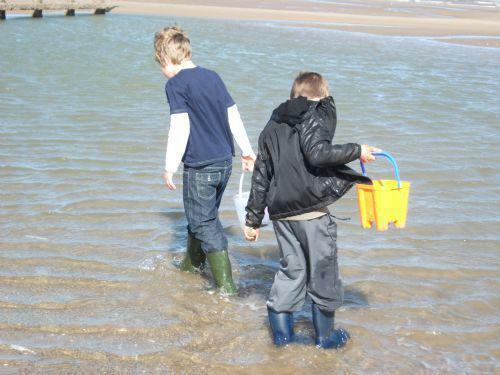 We soon got busy exploring and searching the beach for different signs of life. The wellies came in very handy here! Soon we were hungry and enjoyed a nice picnic together. Then came the real hard work. 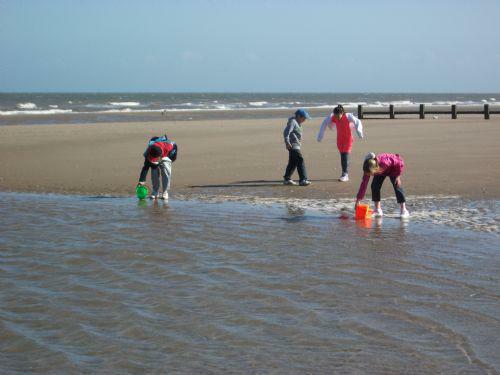 There were various science based activities, including, 'who can build the biggest sand castle? ', 'who can bounce the ball the highest? ', 'what are the most important things, in order, that we need to be safe on a beach?'. (apart from have good old fashioned soggy beach of course!